Festus Haggen was an assistant to Marshall Dillon. 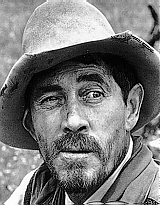 Ken Curtis, who plays Festus, was an assistant to his father - who was sheriff of Bent County, Arizona. Ken Curtis was raised on a ranch. Click on Festus for details.